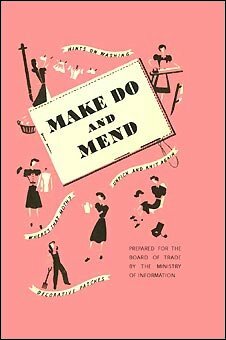 Make Do And Mend was published by the UK Ministry of Information in 1943 at a time when clothing was rationed. 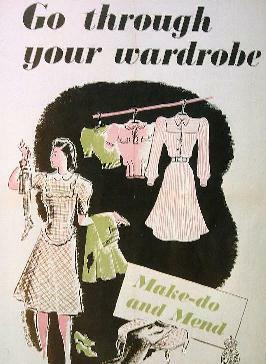 It aimed to help housewives spruce up their wartime wardrobes and reuse every last scrap of material they had. I have a facsimile version of Make Do And Mend, published by the Imperial War Museum and available from Amazon. The booklet may be 70 years old now, but many of the ideas and techniques are as current – and as valuable – as ever. Clothes have simply got to last longer than they used to, but only the careful woman can make them last well. If you want to feel happy in your clothes as long as they last, start looking after them properly from the very beginning. Here are some hints to help you. 1. Mend clothes before washing them or sending them to the laundry, or the hole or tear may become unmanageable. Thin places especially must be dealt with, or they may turn into holes. 2. Always change into old things, if you can, in the house, and give the clothes you have just taken off an airing before putting them away. 3. 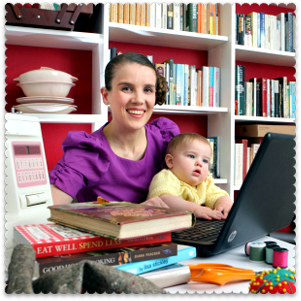 Don’t throw your things down in a heap when you take them off; when they are still warm the material will crease. Brush them with a short-haired brush (a long whisk picks up the fibres) and shake them well. Then hang them on hangers, making sure that the hangers are wide enough. A hanger that is too narrow will ruin the shape of the shoulder, and may even make a hole. For skirts, cut a notch each end of the hanger to stop the loops slipping off. Do up all fastenings before hanging clothes. This helps them to keep their shape. And see that the shoulders are even on the hanger and not falling off one side. 4. See that the wardrobe door shuts tightly, to keep out dust and moth. 5. Remove all stains at once, as they usually come out fairly easily before they are set. For grease use a hot iron on a piece of clean white blotting paper placed over the stain. For all other stains try plain tepid water first, and then soap and water. If you still can’t get the stain out, send the article to the cleaners, and put a note on it saying what the stain is. 6. Keep a look out for loose buttons and other fastenings, frayed buttonholes and split seams, and mend them at once. 7. It is best to wear clothes in turn, as a rest does them good. Shoes, too, are better for not being worn day after day. 8. Never let clothes get really dirty. Dirt injures the fabric, so clean or wash clothes when slightly soiled. 9. Use dress shields to protect clothes from perspiration, but don’t leave shields in when putting clothes away for any length of time. This list is full of commonsense. Something that strikes me about the tips, in contrast to some of the more modern money-saving clothes ideas that I have seen around, is that the original Make Do And Mend tips don’t involve any shopping or wonder products. As befits the time, these tips are all about looking to the tools already at your disposal (such as hot irons and hangers), and making the best of them. P.S. 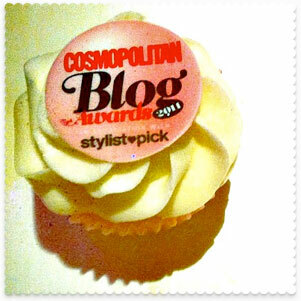 If you don’t have blotting paper (Tip 5)… Try a paper bag instead! This post was included in the 334th Festival of Frugality. Sounds itchy, doesn’t it? Thank heavens for roll-on (or, if you remember a previous post on the topic, slices of lemon)! Such fab tips….And they really are still relevant…perhaps I can convince him indoors to start hanging things up…..? These are such wonderful tips. I hope I can put them to use effectively and keep my clothes in good conditions. I’ve just got round to reading this – fantastic tips, thank you so much. My mum, Jill Greenwood, coined the phrase “Make Do & Mend” and the year I was born she wrote, designed and illustrated the little pink booklet – lovely, isn’t it? I simply wanted to thank you yet again for that amazing website you have created here. It can be full of ideas for those who are genuinely interested in this specific subject, particularly this very post. Your all really sweet in addition to thoughtful of others in addition to the fact that reading your website posts is a wonderful delight with me. that your tips is going to be put to beneficial use.